For the 7th time we met in Oświęcim - "City of Peace", at the end of the old year and the beginning of the New Year. We wanted to reflect on the past year, begin the New Year well and talk about the Pope's Message for Peace. Last year's International Peace Retreat was named "Broken Silence". We focused on the topic of silence. We reflected how difficult it is to name and speak out about traumatic experiences and the implications of both speaking and not speaking about such experiences. Silence is also an attempt to forget, it is a denial of experience with which we are not able to deal with. We cannot achieve peace in this way though. This year we want to continue our reflections about the wounds of the past and how the process of reconciliation and peace takes these wounds into consideration. We invited those who broke their silence, who tried to speak out in many ways about the WWII trauma, those who survived WWII, and those who try to face the inheritance of past generations today. Dr Bielas is a lecturer of Ancient History in the Cathedral of History and Cultural Heritage of the Papal University of John Paul II in Krakow. He was born and raised in the shadow of two totalitarian systems in the town of Jaworzno. Both the character of this town and the unique faith of his family forced him to reflect upon the power of the human person to enslave another, and the reasons why some people observe the presence of evil but yet at the same time do not ‘see' it. Does this reality exist today? Mikołaj's father along with his parents survived the Warsaw Ghetto. His mother was sent to many orphanages in France after the deportation of her parents to Auschwitz. In the camp Mikołaj's grandmother worked in the Hygiene Institute rewriting the outcomes of paramedic research. She survived the camp. Mikolaj Grynberg is a photographer and has created an album "Auschwitz - What Am I Doing Here?" 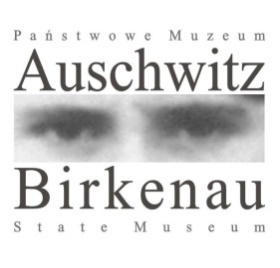 This album presents statements of people who visit Museum Auschwitz - Birkenau. Grynberg asks people why they come here. He too searches for the answer to this question. Dr Hölscher is a retired diplomat of the German Foreign Office. He served as German Genaral Consul in Cracow, Poland, and as deputy of the ambasador in Slovenia and Croatia. Dr Hölscher shared his experiences and thoughts about dealing with the past.